Well Look At What Showed Up? 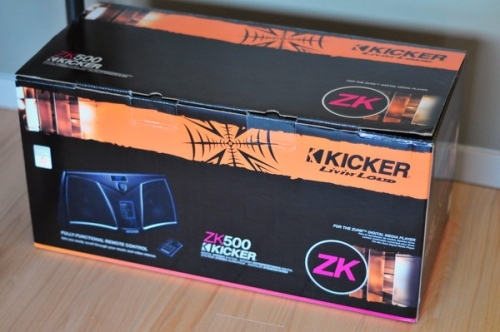 A Kicker ZK500! A sweet ZK500 showed up via courier yesterday, and sadly with all the post-hack clean-up I haven't even had the time to test it out! I'm hoping to at least fire it up tomorrow, though with me leaving for the MVP Summit on Monday morning, I just don't have enough time to play with the fun things I get sent. If it sounds anything like the unit I heard at CES when I took this video, I'm in for a treat...stay tuned!